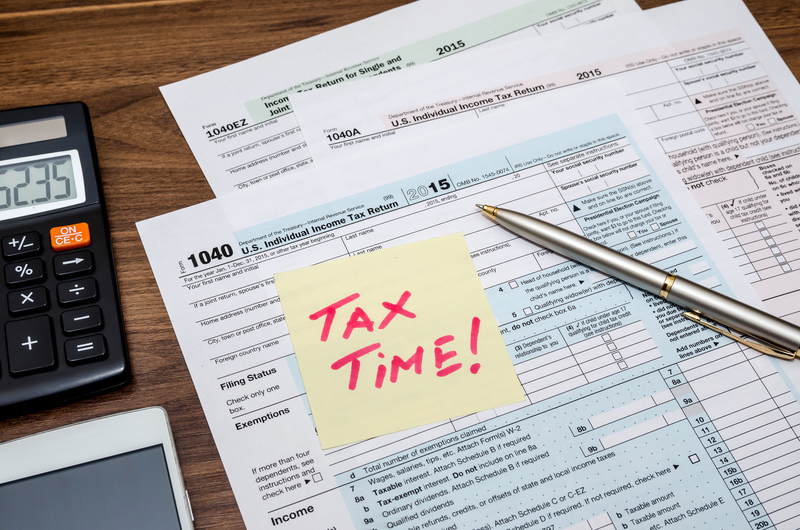 Managing portfolios for tax sensitivity is an often overlooked area of investment management, however this time of year, more than the rest, investors definitely seem to tend to notice if their portfolio was not managed with regards to taxes. Many holders of traditional mutual funds received the unpleasant surprise of a sizeable capital gain on their holdings, even though the performance may have been down last year. ETFs have provided a solution to the internal capital gains issue that mutual funds face. ETFs also provide flexibility – particularly in volatile markets – for tax loss harvesting. Recent market turbulence has provided opportunity to harvest losses and reduce portfolio tax burden (sometimes to zero). 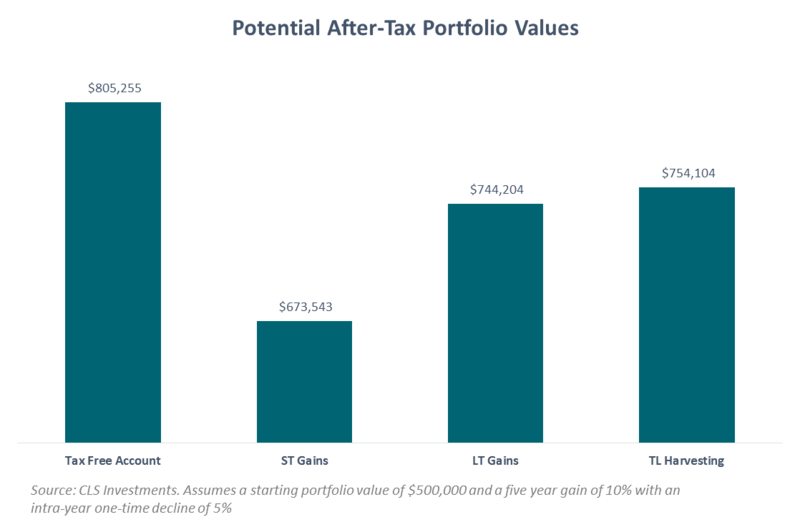 Below is a simple scenario illustrating the value of managing a portfolio efficiently with regards to taxes. As many investors continue to transition to retirement, the location of their assets, the level of their distributions, and the tax efficiency of the investment vehicles they use will become increasingly important. No one wants to pay taxes, and minimizing the level of taxes paid can extend that nest egg through retirement and beyond. At CLS, our tax managed portfolios offer risk-based asset allocation with an overlay of tax management that (in our opinion) is second to none.